AVENGERS #1 is a great start if you're new to comics and have just seen INFINITY WAR. Many of Marvel's flagship characters star in this issue, and the dialogue delivered by Jason Aaron is killer. Ed McGuinness and David Curiel deliver artwork that will keep you entertained on each page. Just last week, INFINITY WAR graced the theater. It’s absolutely spectacular and you should totally check out what we thought of it. That being said, where does Marvel go after such a blockbuster hit? They begin with AVENGERS #1, a relaunch of one of their flagship titles. AVENGERS #1, written by Jason Aaron and drawn by Ed McGuinness, is a must-read story. 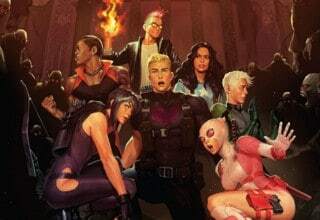 The team consists of eight powerful heroes, most of whom have a connection with the Marvel Cinematic Universe. 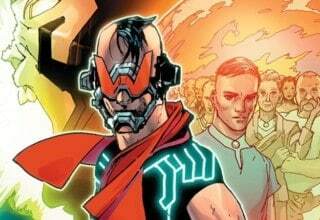 Does Aaron do a good job transitioning from “No Surrender” and AVENGERS INFINITY WAR with this #1 issue? Read on to find out what we think! Marvel’s insistence to relaunch titles to encourage fans to jump onboard and purchase early issues is tiresome, but it makes sense when a movie has just dropped. Marvel’s hope — anyone’s hope who wishes to watch the comic industry grow — is for new fans to trickle into comic shops and purchase what they liked on screen. AVENGERS #1 is an obvious choice for this. Marvel capitalizes on this by filling its Avengers roster with core characters from the Marvel Cinematic Universe: Captain America, Iron Man, and Thor begin this series. These have been the big three for a long while now, so its quite fitting they start the series pondering what’s next for the Avengers. And, in an even more calculated move, the characters Aaron introduces next are Black Panther and Doctor Strange, two heroes that had extremely successful movies. Black Panther is perhaps one of the most popular heroes right now, so it would be crazy for Jason Aaron not to have him on his Avengers roster. She-Hulk is on this team because of course we need a Hulk. There’s also Captain Marvel; she’ll have a movie this time next year. 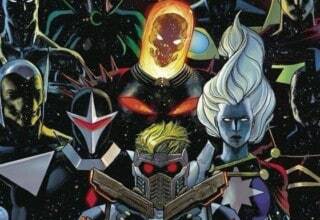 The only real mystery of a character is Ghost Rider, but his connection with the mystical side of things, like Strange, will only add intriguing stories for our team. 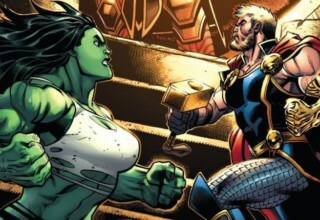 Each character in AVENGERS #1 is a calculated move to ease new fans into the comics. Thankfully many of these heroes have history that will allow them to mesh. 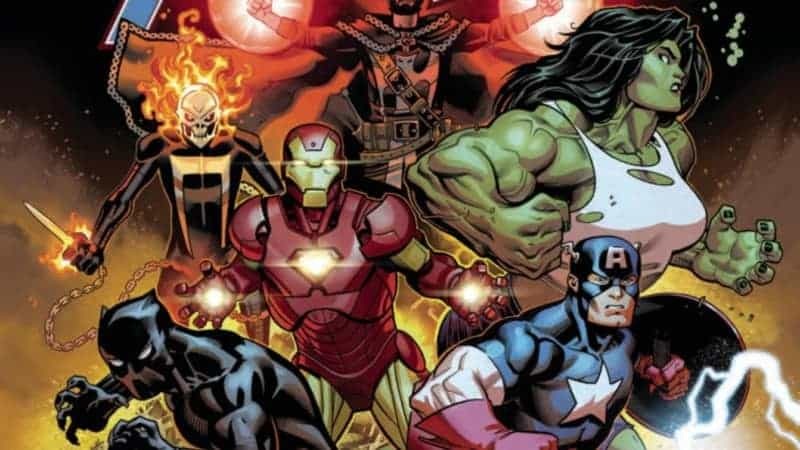 While AVENGERS #1 has all the characters for new fans to recognize, it begins its story in a vague and confusing manner: one million years in the past. Why this starting point? Aaron appears to be connecting an ancient threat to the modern world. The characters that begin AVENGERS #1 are embodiments of contemporary heroes: Odin, a Black Panther that isn’t T’Challa, Agamotto, and so on. What is this ancient threat? It’s vague, but we learn it’s the Celestials or something that can kill Celestials. These ancient heroes talk about having defeated a Celestial that was already wounded, but when they charge out to battle the rest, this section of the plot comes to a halt. Fast forward to modern day and we find Steve, Tony, and Thor drinking and discussing the need for the Avengers. Tony is against it, Steve is for it, and Thor simply wants another round. But when an unknown object enters Earth’s atmosphere, the three act without even thinking. If this all seems vague, it’s because it really is: the comic is meant to slowly introduce our heroes and show their status in the world at large. The plot is straightforward enough and hints at the mental state of a lot of characters. She-Hulk is trying to keep her anger in check; Ghost Rider is unsure about the demon inside him; Captain Marvel is dealing with her stressful role in Alpha Flight. 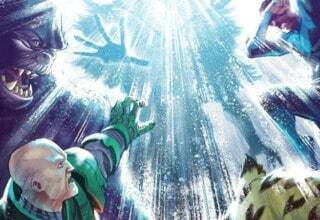 By including the Celestials, Marvel is clearly trying to invest in its cosmos. This makes sense because INFINITY WAR obviously does the same. Jonathan Hickman did an excellent job with his AVENGERS run in 2012 by including many cosmic elements. Can Aaron do the same here? 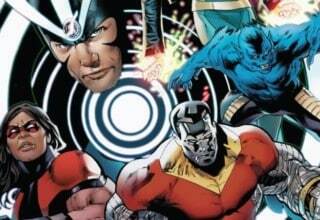 The pieces are certainly in line, and utilizing the Celestials is an intriguing concept. Al Ewing recently touched upon them in his ULTIMATES I and II run, and I can see concepts from his work carrying over here. My only fear is that this series is too forced. As mentioned, these heroes are selected because their names are all buzzwords. 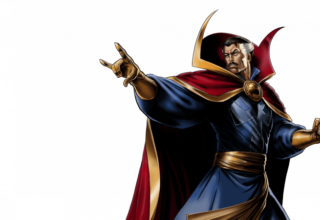 Yes, they’re important to the Marvel Universe, but so are other countless characters that are available to pick from. Will this mesh work? AVENGERS #1 didn’t delve too deeply into things, and the ancient history given to us in the beginning could either be amazing or terribly awkward and forced. We shall see. No doubt Ed McGuinness is a talented artist. I really love the proportions of his characters. Everything seems accurately fitted with the surroundings. His panels are easy to follow and his drawings of the Celestials are truly menacing. But I can’t shake the fact that some characters and scenes are drawn too amiably. Earth is on the brink of being crushed by Celestials. Shouldn’t the tone be a bit darker? In “No Surrender,” Pepe Larrazz gave us a similar style but it was a bit rougher and worked within that story. I want to give McGuinness a whole arc to flesh out his vision, but the entire time I felt myself wanting something darker, something more realistic. David Curiel’s colors do blend well with McGuinness’ drawings, however. The way the colors of the Celestials pop off the pages are great, and the hues depicting the various landscapes are always pleasant to look at. The shading (no doubt assisted by the inker, Mark Morales) really gives these characters depth. 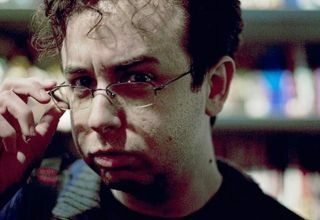 Jason Aaron has made himself a household name at Marvel with titles like THOR and ORIGINAL SIN, and with Brian Michael Bendis now gone, it makes more sense to place this rising writer at such an important role. AVENGERS has always been a key series, but after AVENGERS INFINITY WAR, it’s more important now than ever. It’s great Marvel is giving a nod towards its cosmic side, and it’s especially nice these flagship heroes are being taken advantage of. Will this Celestial threat be deep enough to carry this series? 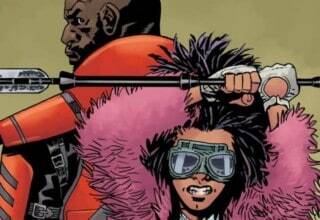 Or will it simply be a six-issue arc, one that has very little repercussions? Here’s hoping for the former.